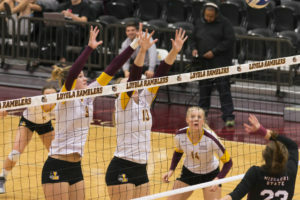 Steve Woltmann | Loyola Athletics Redshirt senior Alex Baker is in his second full season back from an ankle injury that cost him his entire junior year, Baker is already back on track after winning the ISU Invitational. Redshirt senior Alex Baker, 22, never thought a simple hill workout would put his running career on hold, but that is exactly what happened to the cross country runner prior to his junior season. While running down a hill, Baker stepped in a hole and sprained his ankle the summer before his junior year. What he and his coaches thought was going to be a two-week recovery became a season-long injury resulting in him redshirting his junior year. During his time here at Loyola, Baker, a sociology major, has made an everlasting impression on his teammates and coaches. They can agree he is a silent leader and always sets a good example for the rest of the team. Sophomore Derek Rink has only known Baker for two years, but is in awe by the way that Baker trains. Baker didn’t always run cross country. While at Crystal Lake Central High School in the northwest suburb Crystal Lake, Illinois, he began his running career with track and soccer. He was a midfielder on the soccer team, which required a lot of running and good endurance. Because of this, he always gravitated toward the long distance races during track. Baker’s breakout season at Loyola was his sophomore year, just before his injury. He placed 19th at the Missouri Valley Conference (MVC) championships and 36th at the NCAA Midwest Regional meet. Getting injured while at the top of his game wasn’t ideal, but Baker kept working. Even with the loss of a season, Baker was still able to match his old times in his return. Still, they weren’t where he wanted them to be, and he wants a chance to prove to himself he can do better. 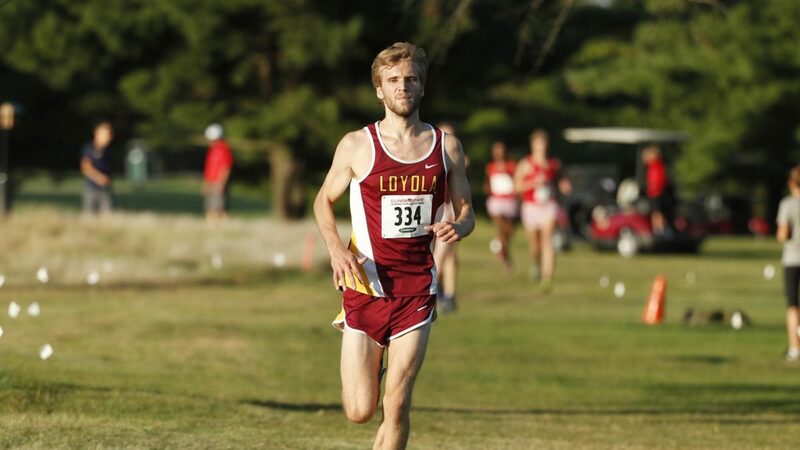 Since Baker is now running at top speed, Bogdan has high hopes for Baker’s final season as a Loyola athlete. In his final season, Baker has already finished first place with a time of 25:02.7 at the Illinois State University’s Country Financial Invitational, and named the MVC Cross Country Athlete of the week. The men’s cross country team is scheduled to race on Sept. 29 in the Notre Dame Invitational at University of Notre Dame.